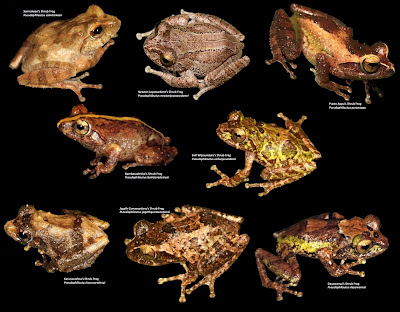 Eight new species of Pseudophilautus (Pseudophilautus bambaradeniyai, P. dayawansai, P. jagathgunawardanai, P. karunarathnai, P. newtonjayawardanei, P. puranappu, P. samarakoon, and P. sirilwijesundarai) were discovered as a result of a survey carried out to study the herpetofaunal diversity with the changes in elevation in the Sripada World Heritage Site (Peak Wilderness), Central Hills of Sri Lanka. Detailed descriptions of new species along with colour photographs and line drawings for each species are provided herein. The new species possess unique morphological characters and are well distinguishable from one another that could be easily identified in the field. 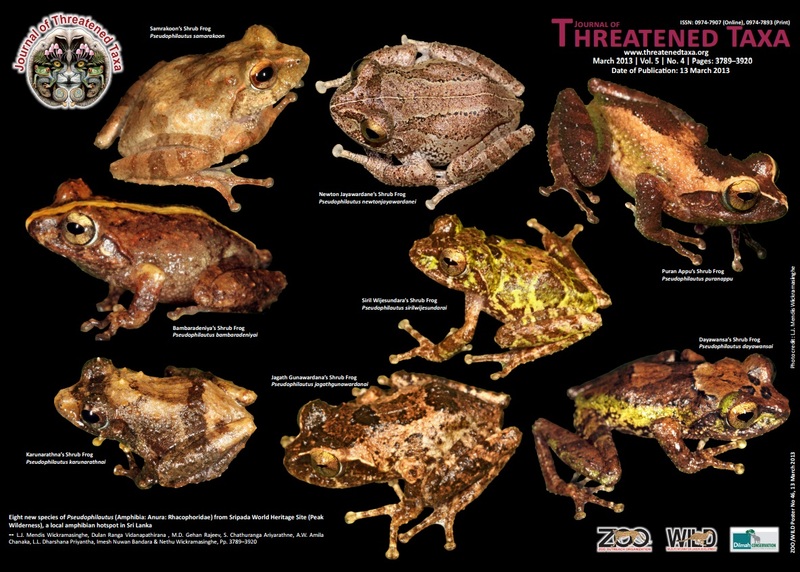 The conservation status of all species described here, have been considered Critically Endangered, except for P. newtonjayawardanei, as all the new species are recorded from single locations, and their habitats are under severe threat. Keywords: Amphibian, new species, Peak Wilderness, Pseudophilautus, Sri Lanka, Sripada.